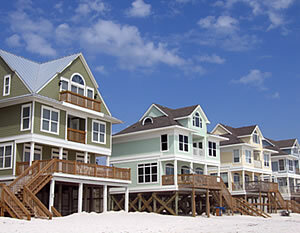 One of the most important inspections that we can do is to inspect your vacation home. Vacation homes are rarely used and remain empty for months at a time. When a home is not visited often, you do not discover that it has a leaky pipe or a squirrel living in the attic until it is too late. If your home was inspected monthly, these problems would be found and dealt with early on and expensive repairs avoided. If your little get away sits vacant year round, have our Wildlife Professionals inspect it monthly. The last thing you want to have happen is a noisy and destructive wildlife pest ruining your restful weekend or vacation. Whether you live near or far away, we will take special care of your property and rest assured it will be treated as if it were our own.